TOKYO (Bloomberg) -- Takata Corp. asked automakers to allow it to pay for costs related to its recalled airbags by installment and is meeting with its bankers almost every day to ensure it has enough cash flow, an analyst who attended a company briefing told Bloomberg. The automakers are close to agreeing to the installment proposal, which will allow the company to avoid paying large sums of money at one time, Takata CFO Yoichiro Nomura told analysts today in Tokyo, according to the person. As of the fiscal year ended in March, Takata hasn’t breached conditions that would allow its banks to call back loans, Nomura said, according to the person, who declined to be named as the meeting wasn’t open to the media. Takata spokesman Hideyuki Matsumoto declined to comment when reached by phone. Hitoshi Sano, head of investor relations at the company, didn’t immediately return calls and e-mails. 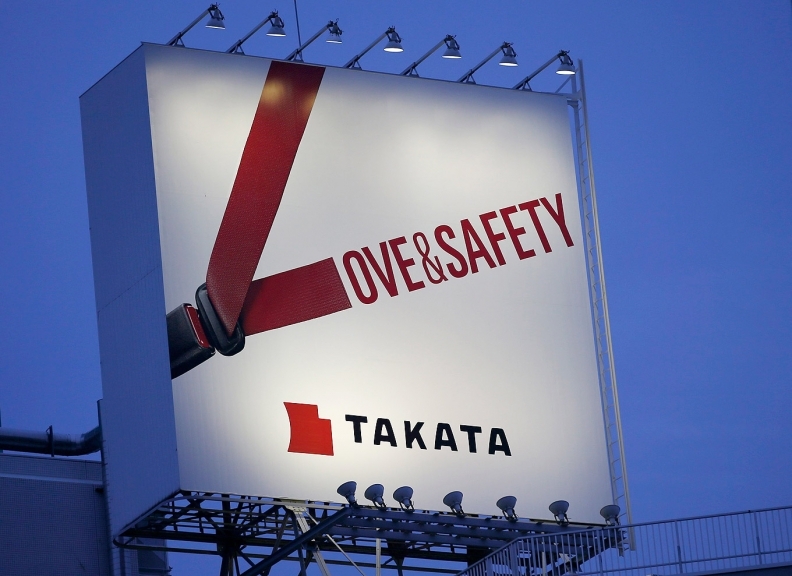 Takata is at the center of the safety crisis engulfing the global auto industry. Its air bags have been found to deploy abnormally, causing breakage and shooting shrapnel at passengers. The defect has been linked to at least six deaths and more than 100 injuries, with automakers recalling more than 36 million vehicles globally since 2008, according to Reuters estimates. Honda Motor Co., Takata’s biggest customer, said today it is replacing driver-side inflators in the latest recalled vehicles with parts made by Autoliv Inc. and Daicel Corp.